MONET is new real step into actual Montenegrin economy trends! The general socio-economic status of the Montenegrin population has severely declined over the last decade of political and economic instability, and economic transition. In addition, regional conflicts caused huge in migration of Roma, Ashkaelia and Egyptians (RAE), Refugees and Internally Displaced Persons (IDPs), depriving these most vulnerable groups of basic living standards. These groups joined an already historically marginalized resident RAE population. In order to design policies whose focus is the eradication of poverty in all its dimensions, the Montenegrin Government, with the support of the United Nations Development Programme (UNDP), the World Bank (WB) and the Department for International Development (DFID), is to complete a Poverty Reduction Strategy Paper (PRSP) by the end of 2003. To date however, Roma Ashkaelia & Egyptians (RAE), Refugees and IDPs, many of whose members are among the most vulnerable groups in society, have not been included in the poverty assessments produced with the The World Bank and Institute for Strategic Studies and Prognoses and therefore have not been adequately included in the existing version of the PRSP document. The reasons for the non-inclusion relate to the complexity of establishing an accurate population sample for these groups and for acquiring in an appropriate manner data on the RAE population. 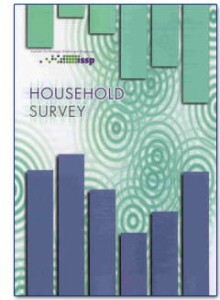 The UNDP Report Household Survey of Roma, Ashkaelia and Egyptians, Refugees and Internally Displaced Persons and the survey it draws upon, conducted by the Institute for Strategic Studies and Prognoses (ISSP), were intended to complement the existing sources of household data for the regular Montenegrin population. Here you can download the Report as well as the questionnaire used for data collection.